I'm back to wanting a Duke, with some kind of burl wood. @VANCE will the custom shop GB be reground? Anyone have an example of this combo? 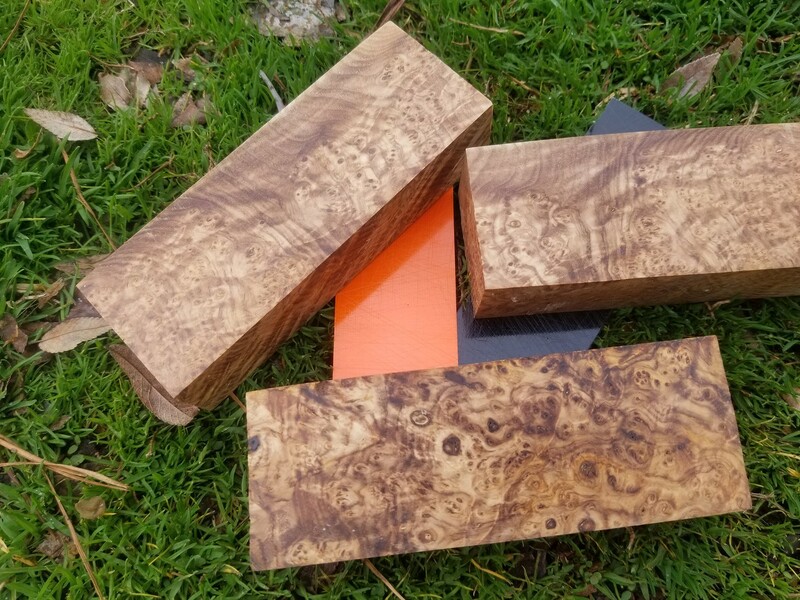 The orange will be the deciding factor for me in the GB tomorrow, so if anyone has a pic of the Black Ash Burl with orange, I’d appreciate it. That is my handle choice! On a Duke. Curl of the Burl, RobbieB, Hulk2e and 3 others like this. The gaucho I purchased a couple weeks ago has that combo. It’s gorgeous! NoRest and Lady1911 like this. Thanks! I see what you mean! @VANCE - thank you! Tough decision....glad I have 24 hours to ponder it. Curl of the Burl and Lady1911 like this. I use the snot out of my Kephart, for what it’s worth. It stays in my little “bushcraft bag” with a firebox stove and fire kit. I’ve batoned with it, shaved feather sticks and fatwood, etc. The blade shape is great, and it’s a good all-purpose knife for around camp. I’m still torn on handle options for my knife of choice. Leaning toward black ash, but I do love some nice DIW....ugh! This is a tough one for me. I've been wanting a Camp knife for a while and I've been watching for the right one. I'm not sure if I'll like the stainless over the A2. I really like the spalting on the A2. And the Camp knife has a huge blade with lots of spalting. I guess I'll be thinking about it all day to try and make up my mind. That black ash burl is sweet! @VANCE Do these come with a sheath like the production models? @Lady1911 if only my knife purchasing was based off logic, half my criteria is based off what I think will be “fun” to play with. What a lovely problem to have. They will come with sheaths..
SLOsmokin, Nbrackett and NoRest like this. Choosing handle for the Duke is a quandry- he is all business and a matte stainless, so natural canvas suits his personality. But Osage is a great alternative to NC in a wood. Then there is that awesome burl- but maybe it is like white sox with brown dress shoes?? Isn't it nice to be saddled with such a tough choice? Tekton, Lady1911, NoRest and 1 other person like this. I like the way you perfectly described it as “white socks with brown dress shoes.” Maybe so, or maybe it won’t even matter in the big scheme of things. But even though I didn’t have your words to describe it, that’s exactly why I had my doubts. A nice burly burl can make a knife look great, no matter how it’s lined/striped. VANCE and CAD like this. Tan short, white socks and black running shoes. I have no style whatsoever. Nbrackett, VANCE and Lady1911 like this. At least it is not tighty whities and a bag of cheetos.